Check out this gorgeous nursery makeover for baby number two! Most new parents approach the task of setting up the nursery the first time with gusto. But what about a few years down the track? If it’s time for the next baby to move in, or you just want to give the room a spruce up – what’s the first step? 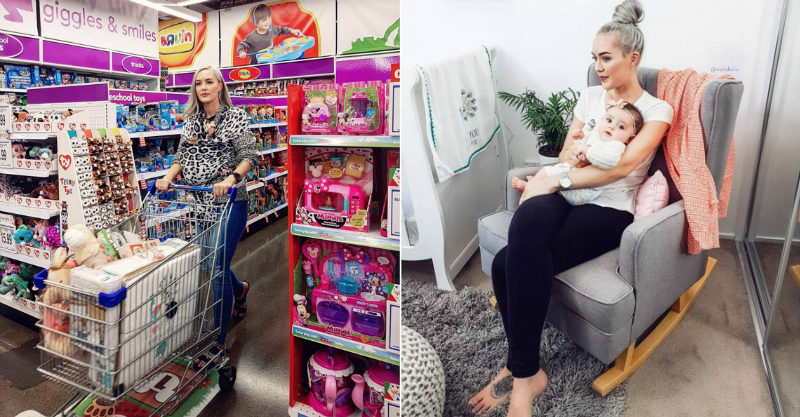 Brisbane mama and blogger, Poppy Lee, was asking herself exactly that question recently when she found herself in just such a situation. Poppy had planned her nursery meticulously first time around, for her first daughter Seren. Fast forward a few years, and it was time to move baby number two, Addy, into the much-used nursery. Not only had Poppy refined her tastes and preferences over since bringing home baby number one, but she also felt that Addy deserved to have the same care and attention in the setup of her room as her sister had a couple of years earlier. Fortunately, a nursery makeover the second time around is both quicker and more affordable than setting up a nursery from scratch. It was simply a case of buying the few things that Poppy regretted not investing in the first time, swapping out some of the decor and freshening up things which had become a bit too tired.